The Republican president did not commit himself to back the government funding agreement struck between Democratic and Republican lawmakers this week. "I don't want to see a shutdown. A shutdown would be a terrible thing. I think a point was made with the last shutdown," Trump told reporters. US President Donald Trump on Wednesday edged toward backing a deal in Congress on government funding that would not meet his demand for $5.7 billion for a wall on the Mexican border but would avert a partial government shutdown. The Republican president did not commit himself to back the government funding agreement struck between Democratic and Republican lawmakers this week. But two sources and a Republican senator close to the White House said he would likely sign off on it. "I don't want to see a shutdown. A shutdown would be a terrible thing. I think a point was made with the last shutdown," Trump told reporters. "People realized how bad the border is, how unsafe the border is, and I think a lot of good points were made." Trump said he would hold off on a decision until he sees actual legislation about the issue. Republican Senator Lindsey Graham said Trump was "inclined to take the deal and move on." Graham told reporters that Trump would then look elsewhere to find more money to build a wall along the US southern border and was "very inclined" to declare a national emergency to secure the funds. The measure's fate in the House was far from certain given the risk that some conservatives and liberals will oppose the compromise for different reasons. Like Trump, congressional Republicans have little appetite for a repeat of the 35-day partial shutdown in December and January - the longest in US history - which closed about a quarter of federal agencies and left some 800,000 federal workers without pay. "It’s time to get this done,” Senate Majority Leader Mitch McConnell said on the Senate floor on Wednesday, in reference to voting on the compromise. A White House spokeswoman, Mercedes Schlapp, told CNN that lawyers were reviewing the administration's options should Congress not provide Trump's demanded money for the wall. "The president is going to get that money (in the legislation) and he’s going to find other ways to come up with the rest and he’s going to build the wall," said one Trump adviser. "At the end of the day, the result is going to be the same." 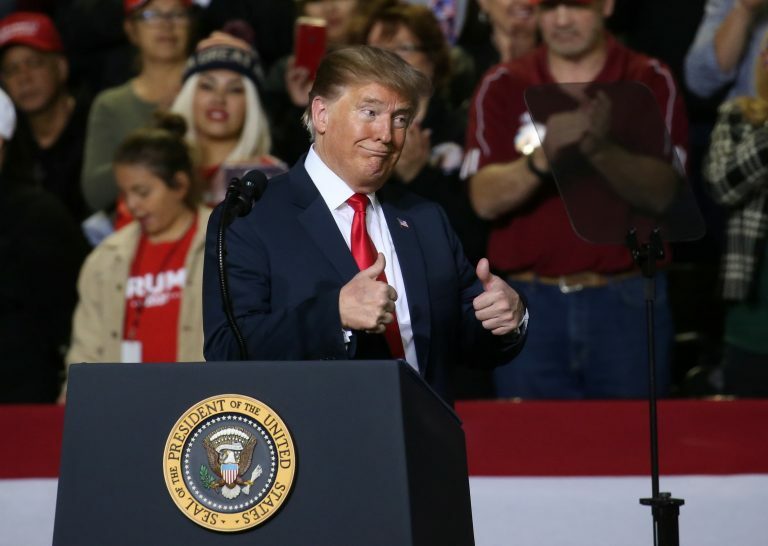 Trump previously threatened to declare a "national emergency" if Congress did not provide money specifically for the wall - a move that would almost certainly draw opposition in Congress and in the courts. "We think the president would be on very weak legal ground to proceed," said Hoyer, the No. 2 Democrat in the House. Speaking to sheriffs and police chiefs of major cities, Trump said later on Wednesday he was determined to “fully and completely” secure the US border, including providing more law enforcement, closing legal loopholes and finishing the border wall. "Trump talks a good game on the border wall, but it's increasingly clear he's afraid to fight for it," right-wing commentator Ann Coulter tweeted on Tuesday.